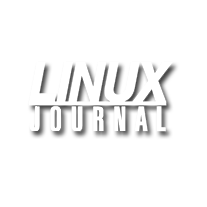 How to install and configure Linux an LXD Container on #Ubuntu. #LXD #Containers are a #Hypervisor that allows you to manage #LXC containers. LXC containers are very lightweight fast #secure #Linux #virtual machines. How to install and configure Linux an LXD Container on Ubuntu. LXD Containers are a Hypervisor that allows you to manage LXC containers. LXC containers are very lightweight fast secure Linux virtual machines. Fundamentally, a microservice is just a computer program which runs on a server or a virtual computing instance and responds to network requests. How is this different from a typical Rails/Django/Node.js application? It is not different at all. In fact, you may discover that you already have a dozen of microservices deployed at your organization. There are not any new magical technologies that qualify your application to be called a microservice. A microservice is not defined by how it is built but by how it fits into the broader system or solution. So what makes a service a microservice? Generally, microservices have a more narrow scope and focus on doing smaller tasks well. Let’s explore further by looking at an example. * The product description, which includes the price, title, photo, etc. * Recommended items, i.e. similar books other people have bought. * Sponsored listings that are related to this item. * Information about the author of the book. * Your own browsing history of other items on the Amazon store. When a user’s request comes from a browser, it will be served by a web application (a Linux or Windows process). Usually, the application code fragment which gets invoked is called a request handler. The logic inside of the handler will sequentially make several calls to databases, fetch the required information needed to render a page and stitch it together and render a web page to be returned to the user. Simple, right? In fact, many of Ruby on Rails books feature tutorials and examples that look like this. So, why complicate things, you may ask? 1. Change their database schema. 2. Release their code to production quickly and often. 3. Use development tools like programming languages or data stores of their choice. 4. Make their own trade-offs between computing resources and developer productivity. 5. Have a preference for maintenance/monitoring of their functionality. As you can imagine, having the teams agree on everything to ship newer versions of the web store application will become more difficult over time. The solution is to split up the components into smaller, separate services (aka, microservices). * Deploy their service as frequently as they wish without disrupting other teams. * Scale their service the way they see fit. For example, use AWS instance types of their choice or perhaps run on specialized hardware. * Have their own monitoring, backups and disaster recovery that are specific to their service. What is the difference between microservices and containers? A container is just a method of packaging, deploying and running a Linux program/process. You could have one giant monolithic application as a container and you could have a swarm of microservices that do not user containers, at all. A container is a useful resource allocation and sharing technology. It’s something devops people get excited about. A microservice is a software design pattern. It’s something developers get excited about. Containers and microservices are both useful but not dependent on each other. * the temptation of over-engineering. 1. Separation of computing and storage. As your needs for CPU power and storage grow, these resources have very different scaling costs and characteristics. Not having to rely on local storage from the beginning will allow you to adapt to future workloads with relative ease. This applies to both simple storage forms like file systems and more complex solutions such as databases. 2. Asynchronous processing. The traditional approach of gradually building applications by adding more and more subroutines or objects who call each other stops working as workloads grow and the application itself must be stretched across multiple machines or even data centers. Re-architecting an application around the event-driven model will be required. This means sending an event (and not waiting for a result) instead of calling a function and synchronously waiting for a result. 3. Embrace the message bus. This is a direct consequence of having to implement an asynchronous processing model. As your monolithic application gets broken into event handlers and event emitters, the need for a robust, performant and flexible message bus is required. There are numerous options and the choice depends on application scale and complexity. For a simple use case, something like Redis will do. If you need your application to be truly cloud-native and scale itself up and down, you may need the ability to process events from multiple event sources: from streaming pipelines like Kafka to infrastructure and even monitoring events. 4. API versioning. As your microservices will be using each other’s APIs to communicate with each other via a bus, designing a schema for maintaining backward compatibility will be critical. Simply by deploying the latest version of one microservice, a developer should not be demanding everyone else to upgrade their code. This will be a step backward towards the monolith approach, albeit separated across application domains. Development teams must agree upon a reasonable compromise between supporting old APIs forever and keeping the higher velocity of development. This also means that API design becomes an important skill. Frequent breaking API changes is one of the reasons teams fail to be productive in developing complex microservices. 5. Rethink your security. Many developers do not realize this but migrating to microservices creates an opportunity for a much better security model. As every microservice is a specialized process, it is a good idea to only allow it to access resources it needs. This way a vulnerability in just one microservice will not expose the rest of your system to an attacker. This is in contrast with a large monolith which tends to run with elevated privileges (a superset of what everyone needs) and there is limited opportunity to restrict the impact of a breach. What does Kubernetes have to do with microservices? Kubernetes is too complex to describe in detail here, but it deserves an overview since many people bring it up in conversations about microservices. Strictly speaking, the primary benefit of Kubernetes (aka, K8s) is to increase infrastructure utilization through the efficient sharing of computing resources across multiple processes. Kubernetes is the master of dynamically allocating computing resources to fill the demand. This allows organizations to avoid paying for computing resources they are not using. However, there are side benefits of K8s that make the transition to microservices much easier. As you break down your monolithic application into separate, loosely-coupled microservices, your teams will gain more autonomy and freedom. However, they still have to closely cooperate when interacting with the infrastructure the microservices must run on. Kubernetes solves these problems quite elegantly and provides a common framework to describe, inspect and reason about infrastructure resource sharing and utilization. That’s why adopting Kubernetes as part of your microservice re-architecture is a good idea. Kubernetes, however, is a complex technology to learn and it’s even harder to manage. You should take advantage of a hosted Kubernetes service provided by your cloud provider if you can. However, this is not always viable for companies who need to run their own Kubernetes clusters across multiple cloud providers and enterprise data centers. For such use cases, we recommend trying out Gravity, the open source Kubernetes packaging solution, which removes the need for Kubernetes administration. Gravity works by creating Kubernetes clusters from a single image file or “Kubernetes appliances” and can be downloaded, moved, created and destroyed by the hundreds, making it possible to treat Kubernetes clusters like cattle, not pets. 1. Microservices are not new. It’s an old software design pattern which has been growing in popularity due to the growing scale of Internet companies. 2. Small projects should not shy from the monolithic design. It offers higher productivity for smaller teams. 3. Kubernetes is a great platform for complex applications comprised of multiple microservices. 4. Kubernetes is also a complex system and hard to run. Consider using hosted Kubernetes if you can. 5. If you must run your own K8s clusters or if you need to publish your K8s applications as downloadable appliances, consider the open source solution, Gravity. A Densify survey highlights how the popularity of containers may be making it harder to track cloud computing costs. In my last post, I showed how to connect AWS API Gateway directly to SNS using a service integration. A few people asked me about the performance implications of this architecture. Is it significantly faster than using a Lambda-based approach? How does it compare to EC2 or ECS? My answer: I don’t know! But I know how to find out (sort of). We’ll deploy our three services and throw 15,000 requests at each of them. Who will win? Before we review the results, let’s set up the problem. I wanted to keep our example as simple as possible so that the comparison is limited to the architecture itself rather than the application code. Further, I wanted an example that would work with the API Gateway service proxy so we could use it as a comparison as well. I decided to set up a simple endpoint that receives an HTTP POST request and forwards the request payload into an AWS SNS topic. Let’s take a look at the architecture and deployment methods for each of our three approaches. A user will make an HTTP POST request to our endpoint, which will be handled by API Gateway. 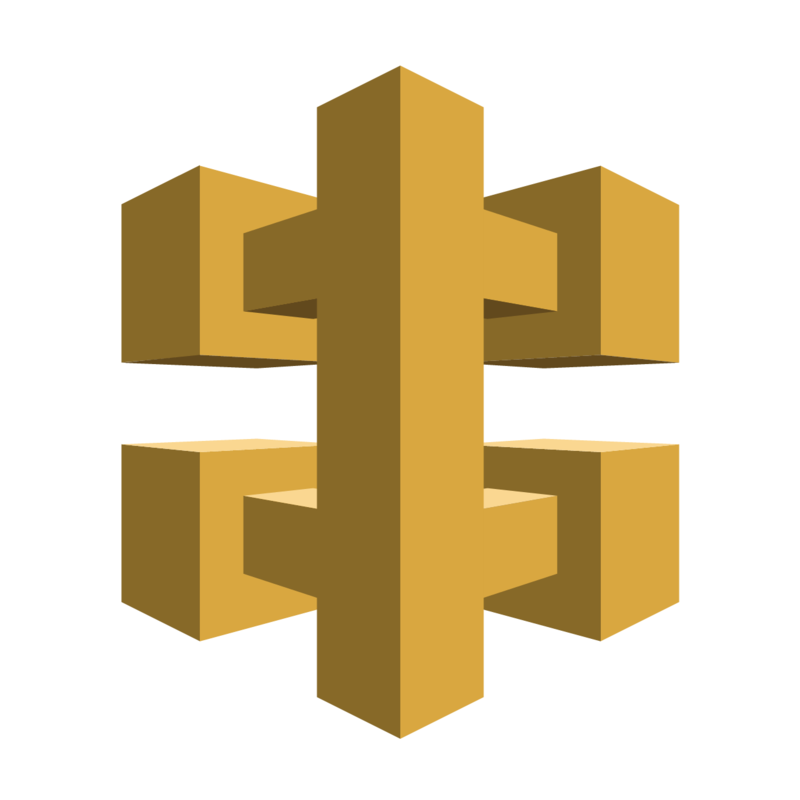 API Gateway will forward the request to our AWS Lambda function for processing. The Lambda function will send our request payload to the SNS topic before returning a response. *Full disclosure: I work for Serverless, Inc., creators of the Serverless Framework. Want to come work with me on awesome stuff? We’re hiring engineers. Please reach out if you have any interest. Before doing any testing, my hunch is that this will be faster than the previous method since we’re cutting out a network hop in the middle. Check below for full results. Note that API Gateway service proxies won’t work for all parts of your infrastructure, even if the performance is faster. If you want additional details on how, when, and why to use this, check out my earlier post on using an API Gateway service proxy integration. It does a step-by-step walkthrough of setting up your first service proxy. To deploy this example, there is a CloudFormation template here. This will let you quickly spin up the stack for testing. The final approach is to run our compute in Docker containers. There are a few different approaches for doing this on AWS, but I chose to use AWS Fargate. Users will make HTTP POST requests to an HTTP endpoint, which will be handled by an Application Load Balancer (ALB). This ALB will forward requests to our Fargate container instances. The application on our Fargate container instances will forward the request payload to SNS. With Fargate, you can run tasks or services. A task is a one-off container that will run until it dies or finishes execution. A service is a defined set of a certain number of instances of a task. Fargate will ensure the correct number of instances of your service are running. We’ll use a service so that we can run a sufficient number of instances. Further, you can easily set up a load balancer for managing HTTP traffic across your service instances. You can find code and instructions for deploying this architecture to Fargate here. I use the incredible fargate CLI tool, which makes it dead simple to go from Dockerfile to running container. Now that we know our architecture, let’s jump into the bakeoff! After I deployed all three of the architectures, I wanted to do testing in two phases. First, I ran a small sample of 2000 requests to check the performance of new deploys. This was running at around 40 requests per second. Then, I ran a larger test of 15000 requests to see how each architecture performed when they are warmed up. For this larger test, I was sending around 100 requests per second. Let’s check the results in order. Around 10% of my requests were failing altogether! When I dug in, it looked like I was overwhelming my container instances, causing them to die. I’m not a Docker or Flask performance expert, and that’s not the goal of this exercise. To remedy this, I decided to bump the specs on my deployments. The general goal for this bakeoff is to get a best-case outcome for each of these architectures, rather than an apples-to-apples comparison of cost vs performance. For Fargate, this meant deploying 50 instances of my container with pretty beefy settings — 8 GB of memory and 4 full CPU units per container instance. For the Lambda service, I set memory to the maximum of 3GB. With that out of the way, let’s check the initial results. 1. Fargate was consistently the fastest across all percentiles. 2. AWS Lambda had the longest tail on all of them. This is due to the cold start problem. 3. API Gateway service proxy outperformed AWS Lambda at the median, but performance in the upper-middle of the range (75% - 99%) was pretty similar between the two. Now that we’ve done our warmup test, let’s check out the results from the full performance test. For the main part of the performance test, I ran 15,000 requests at each of the three architectures. I planned to use 500 ‘users’ in Locust to accomplish this, though, as noted below, I had to make some modifications for Fargate. 1. Fargate was still the fastest across the board, though the gap narrowed. API Gateway service proxy was nearly as fast as Fargate at the median, and AWS Lambda wasn’t far behind. 2. The real differences show up between the 80th and 99th percentile. Fargate had a lot more consistent performance as it moved up the percentiles. The 98th percentile request for Fargate is less than double the median (130ms vs 69ms, respectively). In contrast, the 98th percentile for API Gateway service proxy was more than triple the median (250ms vs 73ms, respectively). 3. AWS Lambda outperformed the API Gateway service proxy at some higher percentiles. Between the 95th and 99th percentiles, AWS Lambda was actually faster than the API Gateway service proxy. This was surprising to me. I mentioned above that I wanted to use 500 Locust ‘users’ when testing the application. Both AWS Lambda and API Gateway service proxy handled 15000+ requests without a single error. I finally throttled it down to 200 Locust users when testing for Fargate, which got my error rate down to around 3% of overall requests. Still, this was infinitely higher than the error with AWS Lambda. I’m not saying you can’t deploy a Fargate service without tolerating a certain percentage of failures. Rather, performance tuning Docker containers was more time than I wanted to spend on a quick performance test. I’ve gotten some pushback saying that the test is worthless due to the Fargate errors, or that I was way over-provisioned on Fargate. First, Nathan Peck, an awesome and helpful container advocate at AWS, reached out to say the failures were likely around some system settings like the ‘nofile’ ulimit. That sounds pretty reasonable to me, but I haven’t taken the time to test it out. I don’t have huge interest in digging deep into container performance tuning for this. If that’s something you’re into, let me know and I’ll link to your results if they’re interesting! 1. You can get much lower failure rates than I got. You’ll just need to tune it. 2. I didn’t use 50 instances with a ton of CPU and memory because I thought Fargate needed it. I used it because I didn’t want to think about resource exhaustion at all (even though I did end up hitting the open file limits). I was going for a best-case scenario — if the load balancer, container, and SNS are all humming, what kind of latency can we get? 3. I don’t think this invalidates the general results of what a basic ‘optimistic-case’ could look like with Fargate within these general constraints (multiple instances + Python + calling SNS). If you’re making a million dollar decision on this, you should run your own tests. If you want a quick, fun read, these results should be directionally correct. This was a fun and enlightening experience for me, and I hope it was helpful for you. There’s not a clear right answer on which architecture you should use based on these performance results. * Do you need high performance? Using dedicated instances with Fargate (or ECS/EKS/EC2) is your best best. This will require more setup and infrastructure management, but that may be necessary for your use case. * Is your business logic limited? If so, use API Gateway service proxy. API Gateway service proxy is a performant, low-maintenance way to stand up endpoints and forward data to another AWS service. * In the vast number of other situations, use AWS Lambda. Lambda is dead-simple to deploy (if you’re using a deployment tool). It’s reliable and scalable. You don’t have to worry about tuning a bunch of knobs to get solid performance. And it’s code, so you can do anything you want. I use it for almost everything. 3) Comment on fait des sondages dans Mastodon ?